French toast, cream cheese spread, tomato, cucumber,cheese and two kaiser. Four egg whites omelet with broccoli, mushrooms and chicken white meat and two fresh kaiser. 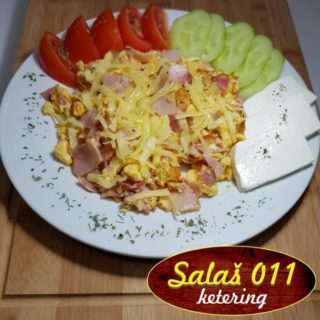 Three fried eggs and bacon, tomato, cucumber, cheese and two kaiser. 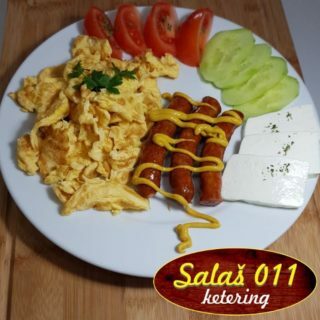 Omelet of three eggs and three slices of smoking sausages with mustard, tomato, cucumber, cheese and two kaiser. Fresh homemade tortillas prepared without additives, ham, cheese, mushrooms, peeled tomato, oregano. Fresh homemade tortillas prepared without additives, stuffed with Caesar salad, chicken breast, lettuce, pancetta, tomato, cheese, Caesar dressing. Two burgers. Kabobs meat, cheese, bacon pancetta, Caesar dressing, tomato, lettuce. Served with French fries and ketchup. Two sandwiches. 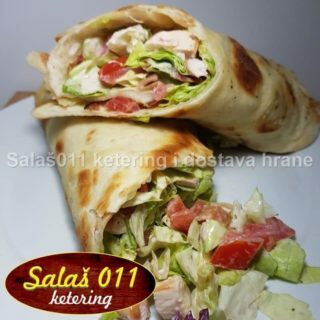 Grilled chicken white meat, pancetta, cheese, Caesar dressing, green salad, tomato. Served with french fries and ketchup on the side. Veal meat, carrots, celery, ginger, onion, laurel spice, other spices. Served with two fresh buns. Green pea, chicken white, carrots, celery, potato, onion, laurel spice, dill other spices. Served with two fresh buns. 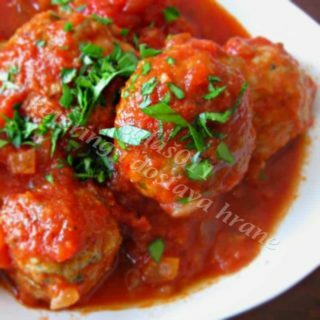 Three meat balls in tomato sauce with homemade mashed potato. Served with two fresh buns. Smoked sausages, french fries, ketchup and mustard on the side. Served with two fresh buns. Grounded meat with four kinds of cheese, ffrench fries, ketchup on the side. Served with two fresh buns. 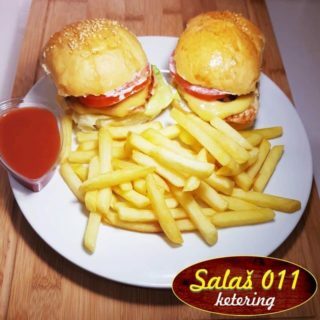 Breaded chicken white meat with sesame seed, pan fried, french fries, ketchup and tartar sauce on the side. Served with two fresh buns. 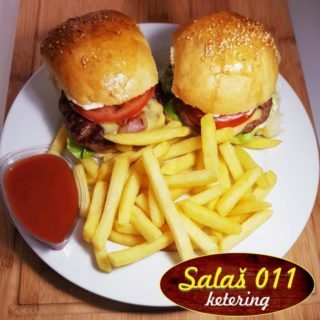 Grilled fritters made out of grounded meat, cheese, ham, garlic and spices, french fries, ketchup and tartar sauce on the side. Served with two fresh buns. Stuffed chicken white with ham and cheese, grilled, with zdenka sauce, french fries, ketchup on the side. Served with two fresh buns. Chicken white meat , carrots, zucchini, curry sauce, spices, very creamy potatoes as side dish. Served with two fresh buns. 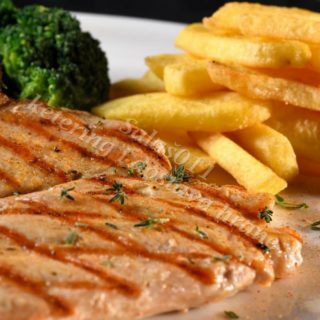 Grilled trout, potatoes as side dish. Served with two fresh buns. Grilled chicken white, french fries, ketchup on the side. Served with two fresh buns. 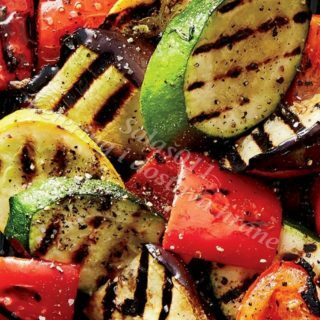 Grilled chicken white, grilled vegetables: zucchini, carrots, mushrooms, pepper, sesame seed. Served with two fresh buns. Grounded meat with cheese, ham and pepper, ffrench fries, ketchup on the side. Served with two fresh buns. 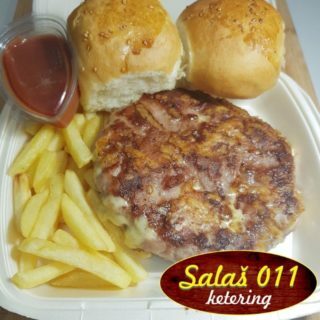 Breaded chicken breast, mashed potato, tartar sauce, served with two kaiser. 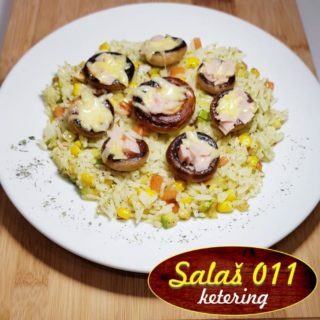 Chicken white meat , mushroom, spices, very creamy potatoes as side dish. Served with two fresh buns. 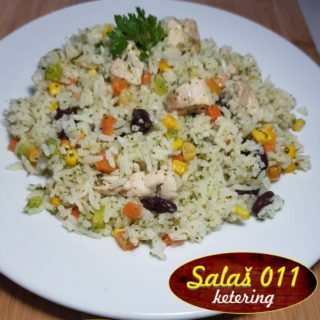 Specially prepared rice, chicken white, zucchini, carrots, broccoli, corn, parsley, spices. 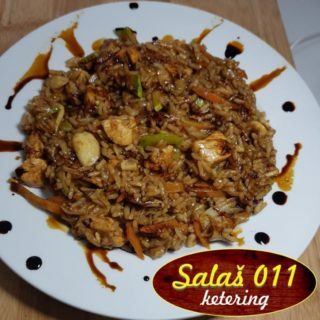 Specially prepared rice, chicken white, mushrooms, carrots, zucchini, cabbage, soya sauce, parsley, spices. 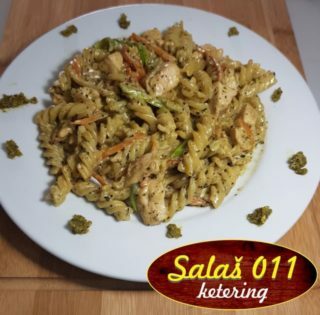 Pasta fussili, chicken white, zucchini, carrots, pesto sauce, basel, spices. 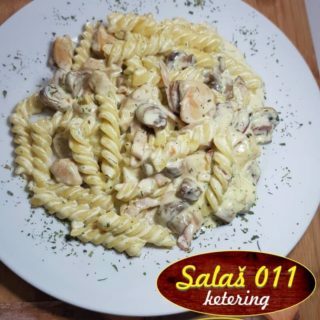 Pasta fussili, chicken white, mushrooms, prosciutto, mustard, cooking cream, spices. 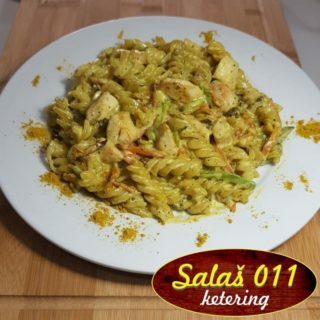 Pasta fussili, chicken white, zucchini, carrots, cooking cream, curry, parsley, spices. 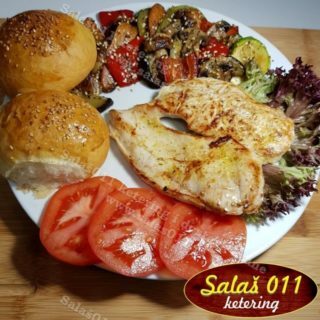 Breaded chicken white meat with sesame seed, pan fried. 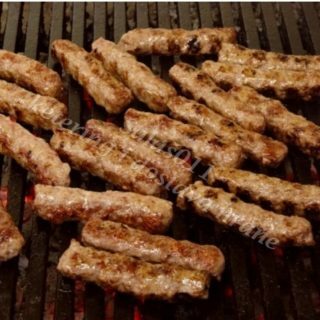 Kabobs, cheese, ham, garlic and spices. Cabbage, vinegar, olive oil, salt. Lettuce, cabagge, tomato, cucumber, olive oil, salt. 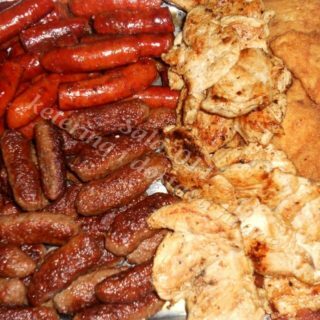 Kabobs, smoked sausages, rolled chicken in bacon, chicken white, grilled Leskovac fritters. Zucchini, carrots, pepper, mushrooms, basel, sesame seeds, spices. Tomato, cucumber, onion, feta cheese, olive oil, salt. 200g Zucchini, carrots, pepper, mushrooms, basel, sesame seeds, spices. 200g Served on vegetable risotto. 250g Stuffed with cheese and ham. 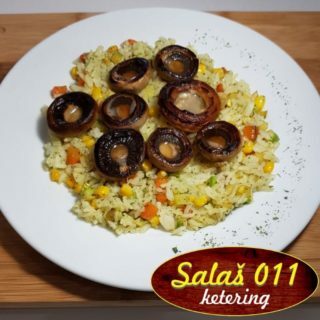 Served on vegetable risotto. 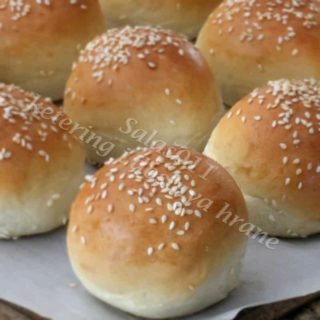 Fresh homemade bun kaiser without additive. 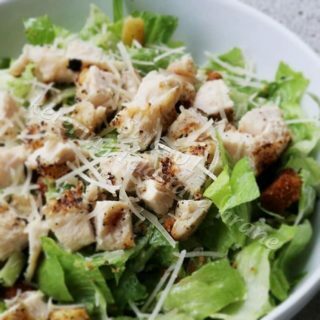 Mixed green salad, grilled chicken, pancetta, ceazar dressing, croutons, parmezan, salt. 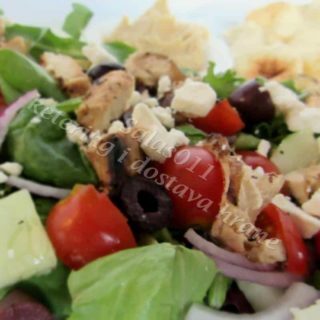 Mixed green salad, grilled chicken, tomato, olives, tzaziki dressing, feta cheese, croutons, salt. Lettuce, vinegar, olive oil, salt. Tomato, cabagge, tomato, cucumber, olive oil, salt. Tomato, feta cheese, vinegar, olive oil, salt. 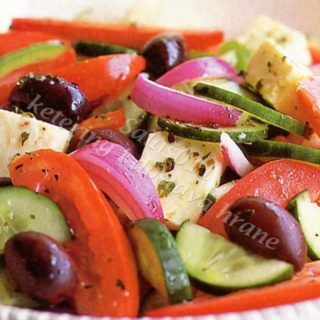 Tomato, cucumber, olives, feta cheese, olive oil, oregano, salt.